It's all the entertainment you need! AVAILABLE IN BOOK STORES EVERYWHERE! Copyright �2012 PopEntertainment.com. All rights reserved. Posted: April 3, 2012. Iranian director Asghar Farhadi manages to both enlighten and mystify. Maybe that's why he's been able to evade both the censors and jailers who police filmmakers for thought crimes against the mega-fascist Iranian state. Or maybe because this director/writer so "honored" Iran by becoming the first Iranian to win an Oscar for Best Foreign Language Film for A Separation, he proved to be too prominent to suppress. The film centers on a couple faced with deciding to divorce so the wife can move elsewhere with her daughter or stay in Iran to look after a deteriorating parent who has Alzheimer's disease. What starts out as a domestic drama turns into a legal and religious mystery with odd twists and turns. 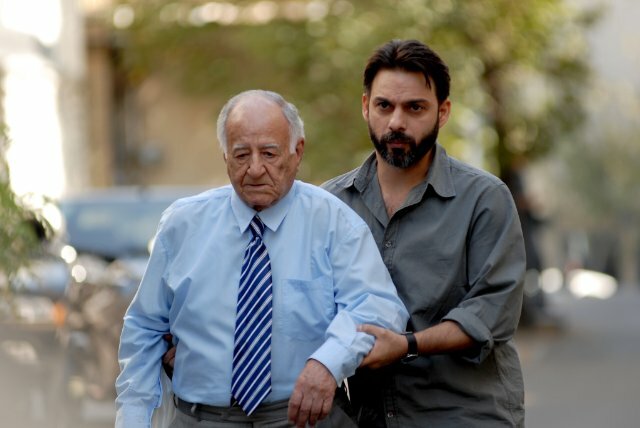 In any case, A Separation's success � it played at the 49th New York Film Festival � has offered a perfect opportunity to further introduce US audiences to Farhadi's body of work. 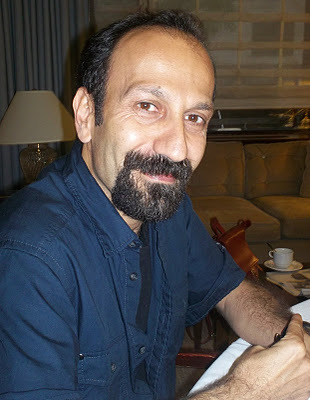 So the Film Society of Lincoln Center launched the series "Asghar Farhadi's Iran," which will play April 6-8, 2012, at the Walter Reade Theater. Beside A Separation, Farhadi's four previous films have also received both critical acclaim and other awards. Though they have been widely seen on the festival circuit, they rarely are viewable in North America. Among his other notices, Farhadi also won the Berlin Film Festival's Silver Bear for Best Director in 2009 for About Elly � a well-structured melodrama/mystery about a seaside vacation of an old group of friends that goes awry and intersperses genre tropes with deft character development. Now established as one of his country's most vital cinematic voices, Farhadi looks to further negotiate the parameters of honest filmmaking within a state that bristles when even lightly critiqued. The following Q&A draws on sessions from the NYFF press conference and a roundtable held around the time of the film's initial release. The title in English is A Separation, which has a wider meaning. Does the Iranian title, Jodaeiye Nader az Simin, have the same connotation? No. It had too much of a sentimental connotation if I used only the words "A Separation" in Persian, and I did not want that sentimentality to be part of the title. After Berlin [International Film Festival], I thought that for [audiences] abroad, it was better if it was just A Separation. But for Iran, I didn't feel that it was a good title. The same discussion happened in Iran, where people said, "You say this is a separation of Nader and Simin, but it seems to be the separation of so many other things." So even though it's not in the title, I think people get it. The names Nader and Simin have significance in Persian. Nader means rare, as in not easily found, unique. Simin is very valuable; it's very precious, like gold � so separating the precious from the rare. You've said that this film is a detective story without any detectives. It's a suspenseful tale without the usual suspense tricks. How did you work out the script and the dialogue? Both are brilliant and sharp. I start by putting in place very simple details, not big things that indicate suspense. I build very slowly. It's like creating a crossword puzzle. Sometimes somebody who creates a crossword puzzle tries to come up with these really complicated ways of suggesting the word, but that's not really necessary. Sometimes [it's] very simple. You give clues and they're simple clues, but the pleasure for the person who solves the puzzle is in finding out these pieces, these words, fit into one another. As suggested by your previous film, About Elly, you find a balance between mystery in the story and the relationships between the characters. Do you start out with the idea in your head � when do you decide you've got that balance between mystery and relationship dynamic? It's difficult to say when or how that develops, but maybe the storylines have within themselves that potential to go in that direction. One of the important things is that I assume that [the] audience is intelligent, and so I don't want to give too much. I want the audience to figure out things for themselves. When I give information about my characters, I don't want to give them directly. I want my audience to get that information by seeing those characters within certain circumstances, and the way they respond to the circumstances is the clue as to who they are. I tried as much as possible to remain neutral in telling a story of the conflict between various people. I don't want to take sides between the various characters. The script is layered and complicated, almost like a novel. How long did it take to write it? How many versions did you do and how did you keep adding the characters? It was a really long time that I had this cooking in my head. 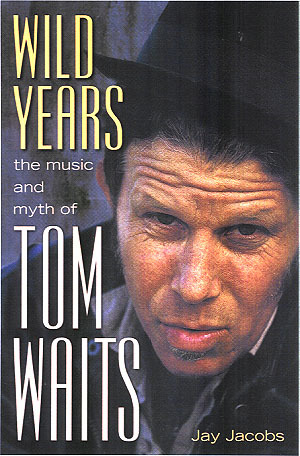 But it was four or five months of actually writing until I produced the first draft, and then there were other drafts. You didn't answer certain things, but they were implied, and you left these little hints though you never gave the complete answer. Can you go into more detail about how you wanted to leave it open for us? If you sat there and said, "Yeah, I'm going to leave that one. I'm not going to answer that one." First of all, I want to make it clear that I do not hide things. It's just that I show less or I show without emphasizing. It's like when somebody shoots a bullet and a person dies. If you've missed that moment of who actually shot, then you have drama. If you show that, then there's no story. The more I progressed, the more I tried to choose the smallest piece of the puzzle and the most insignificant that still works. You talk a lot about the puzzle and structure to your writing. Do you think about character in the same way, and who's your protagonist if you do? I don't understand what it means to have a main protagonist. It's a collective � a group of people within a certain set of circumstances. I don't separate my characters between the antagonist and protagonist and the good guy and the bad guy. I just don't see them like that. I don't start with creating characters. I start by having a plot and then I place my characters in the plot, and because of the circumstances of the plot, they take on certain aspects. The same characters could appear in a few months from completely other circumstances and the story would be a completely different one. It's the story and the circumstances that make the characters. People argued about your intentions. "Did you catch this? Did you get that?" One funny thing: that woman who took the garbage out, if she had put two plastic bags, nothing would have happened. In the second scene, you take a camera inside the apartment, and the characters come and go, some speak, some don't, and every character is introduced to us just by their body language and how they're speaking. How much thought did you put into that and how did you work it out? Movement is very important. I have a great deal of difficulty with scenes that don't have movement, because I feel that just through movement, so much can be communicated. I don't remember how I got to that scene initially, but I knew that after a scene with two people that is static, the next scene has to be a very busy scene. I felt that the tension, the chaotic aspect of the relationship, could be well expressed through that motion. It looks like people are constantly trying to avoid one another and hiding and avoiding coming face to face with one another. There is even a scene where Simin goes into a closet and hides in the darkness of that closet. The film is a secular one but it's good how you introduce the theme of religion in this environment. The wife says, "No, I will not lie, not commit the deadliest of sins." Is it typical for a regular person to make decisions based on whether it's a sin or not? Lying, people lie or don't. But swearing on the Koran, putting your hand on the Koran, is huge. Even people who are not very religious don't want to swear. Even if the person is in the right and they say "Swear that what you're saying is true," and they are saying the truth, they say "I can't. I can't swear on the Koran because it's something that I cannot do." How do they deal with Alzheimer's disease in that society? Like everywhere else, it seems to be suddenly spreading. There are many, many cases of Alzheimer's in Iran. There are now cases that handle patients who have Alzheimer's, but still families have a great deal of difficulty letting go and they'd much prefer to keep the patient living with them. It's coming to a point where it's so difficult that it's creating a real problem. Does your family think you're crazy doing this job? My wife is also a filmmaker and my daughter is a performer, she was in the film. I love being a filmmaker. I went into this kind of work knowing what it was, and I get many benefits from being a filmmaker. People love the films and respond, and there is a price to pay for this. You can't say "I want this to exist but not the other side." If this exists, there is also the other side. Email us Let us know what you think. #1 � 2012 Brad Balfour. All rights reserved. #2 � 2011. Courtesy of Sony Pictures Classics. All rights reserved. #3 � 2011. Courtesy of Sony Pictures Classics. All rights reserved. #4 � 2011. Courtesy of Sony Pictures Classics. All rights reserved.